Every year around the sales period my brain—like many people’s I’m guessing—goes a little screwy. Suddenly clothing that I never considered seemed, at low low prices to be brilliant deals. In the end after much agonising I trumped for a sedate, dark blue merino wool crewneck. Why? Because my current navy blue sweater is wearing and its by far one of my most versatile garments. Boring answer right? If I’m going on a short trip with a weekend bag, 9/10 times that’s the sweater I’m bringing, it can be worn under a suit jacket, with jeans, with various coloured trousers, with dress shirts or just a tee. In short—it’s versatile, super versatile. I wish I was always so disciplined, among other oddities in my closet, I’ve purchased a gorgeous dark green, super-soft alpaca cardigan cut in the style of a Japanese noragi. Despite being a beautifully made, unique garment, I sadly get very little use out of it. Is it Distinctive? Yes, but unfortunately not very versatile. I recently read a quote from style blogger Simon Crompton, which spoke very much the same phenomenon (albeit in the realm of bespoke tailoring). Here’s the thing, despite the fact that the internet is loathe to admit it (especially in the deeply aspirational style world) almost all of us are limited both in our financial resources and storage space, so versatility is a the key to dressing well within these constraints. Think of it as the clothing equivalent of an artist learning to sketch classical portraits before indulging in abstract shapes, once you have the basics its so much easier to incorporate a more unconventional color or style. With this in mind I decided to create (in the style of a food pyramid) the pyramid of versatility, to show, what to my mind are the most versatile garments a man should have, divided by category, with some real life inspirations as a guide. 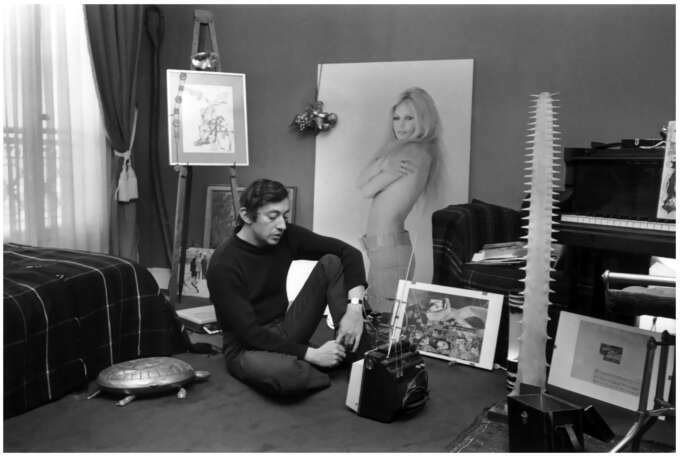 Our knitwear inspiration is: Serge Gainsbourg, legendary French songwriter, rancantour & all round genius.. he essentially only wore a dark blue French naval sweater, 3 piece chalkstripe flannel suits & double denim. His wildcard? 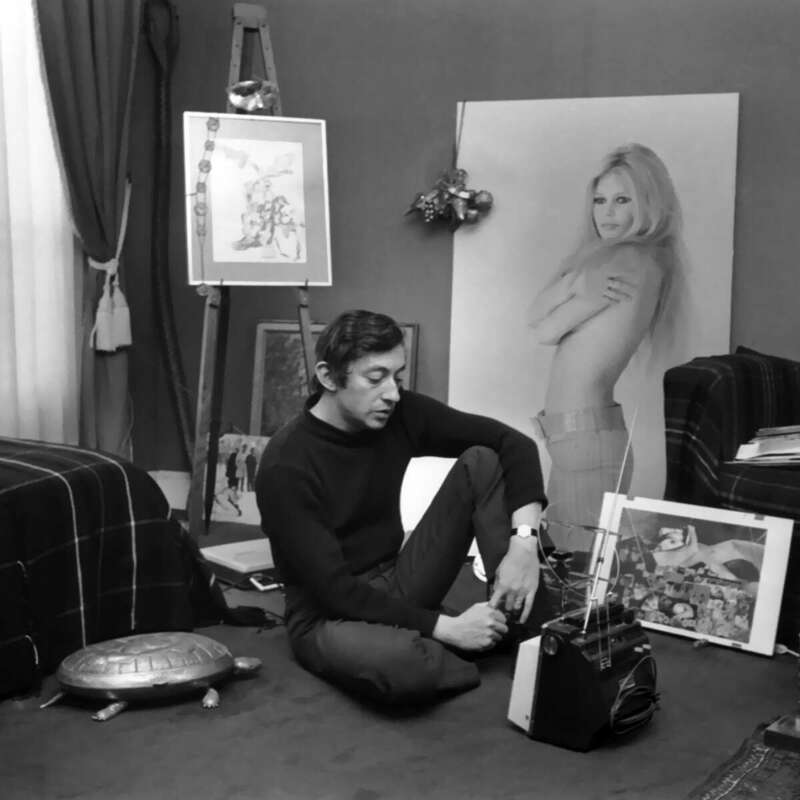 Later in life he would take to wearing white Repetto ballet shoes as he admired their soft leather. 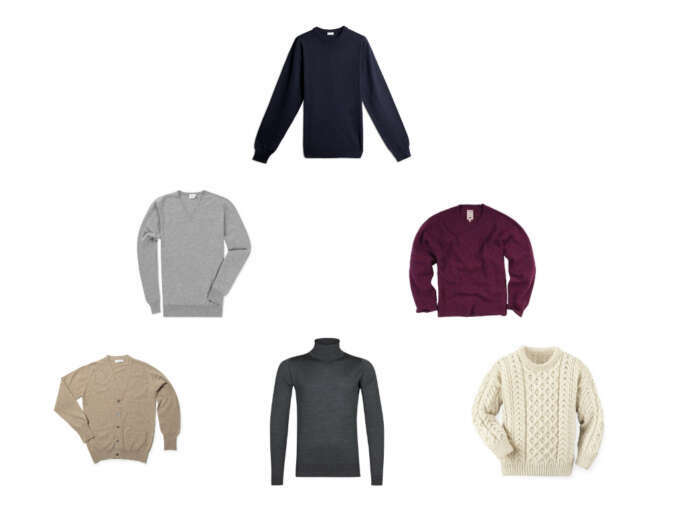 Knitwear pyramid is as follows: blue crewneck sweater < grey v-sweater & shetland < cardigan , rollneck, cable knit, as always buy the best that you can for the blue sweater (good:lambswool better: fine merino, best: 2ply cashmere), and keep it thin enough to wear under a blazer. Trouser inspiration vi. 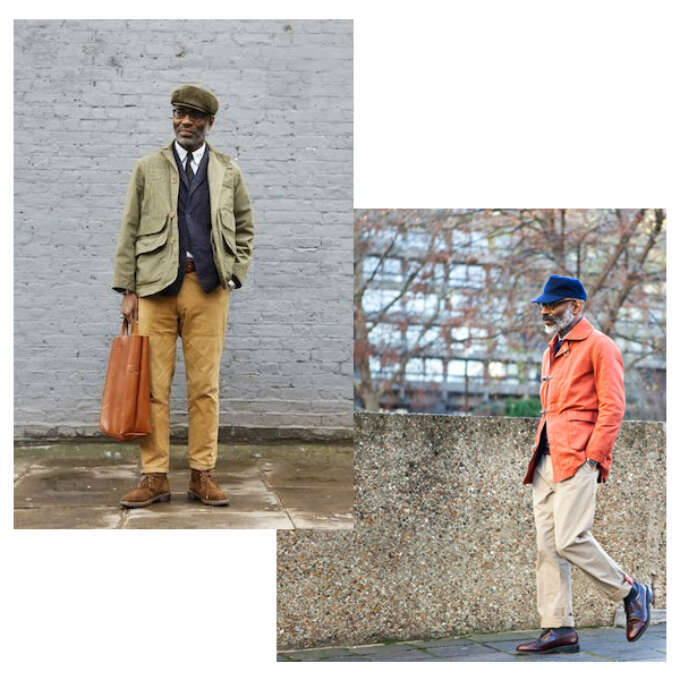 Jason Jules, London based menswear PR, stylist, designer and the blogger behind the excellent Garmsville. Jason has a great ivy/workwear influenced style, which almost always involves tan khakis or dark denim. 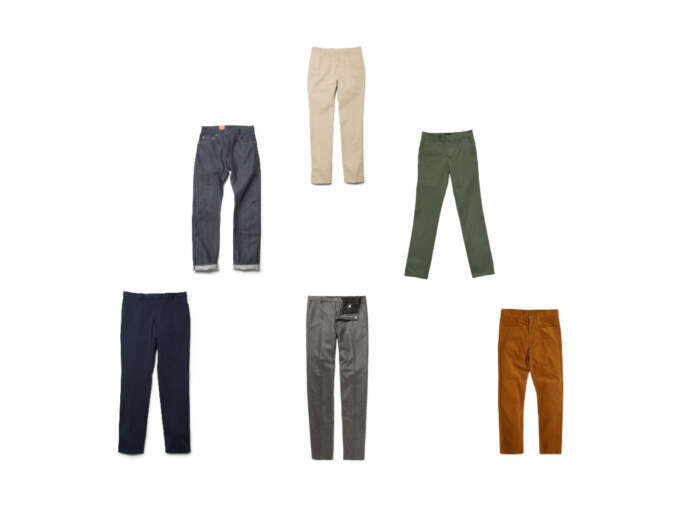 Trouser pyramid is as follows: tan khakis, dark denim & olive khakis, blue chino, wool flannel & cinnamon corduroy. 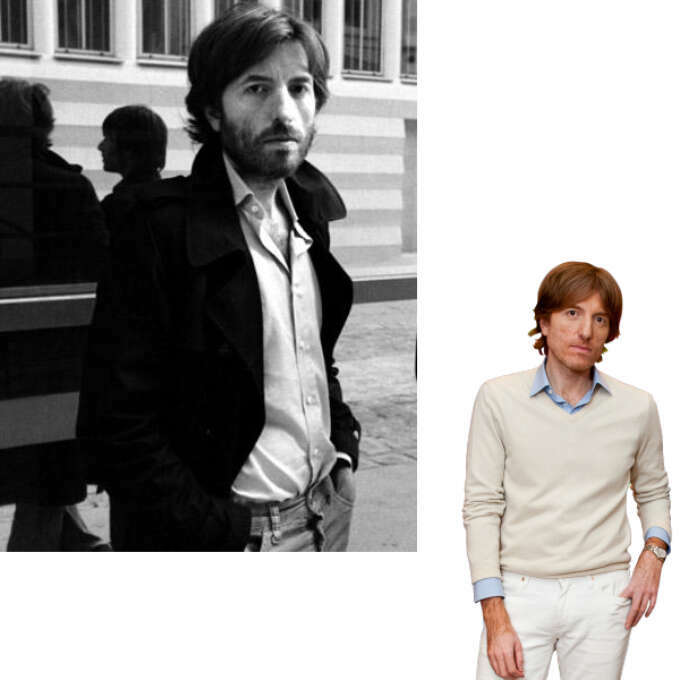 Shirt inspiration comes from Nicolas Godin, one half of the French duo AIR. Godin has classic French bourgois style down, and prefers bespoke, cotton poplin & denim shirts from the famed maker Charvet in classic pale blue & white. Not everything has to be blue but it makes it easy. 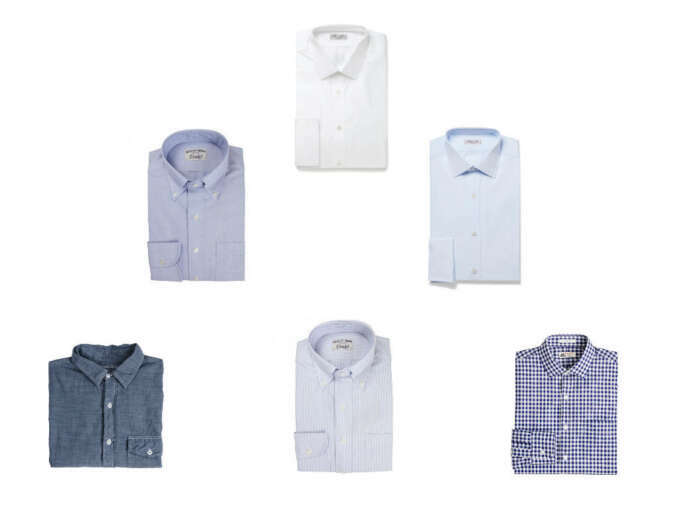 Shirt pyramid is white poplin plain collar shirt < blue oxford button down shirt, pale blue poplin plain collar shirt < chambray work shirt, blue striped oxford buttondown, blue gingham shirt. Who else could it be? 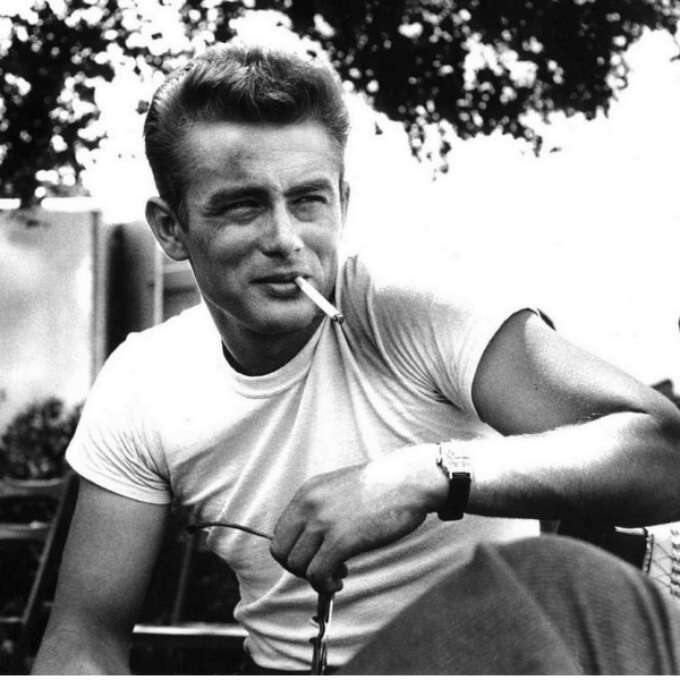 James Dean invented the plain white tee shirt as fashion statement, made it the uniform of youthful rebellion and it is still one of the easiest things to pair with chinos or jeans. 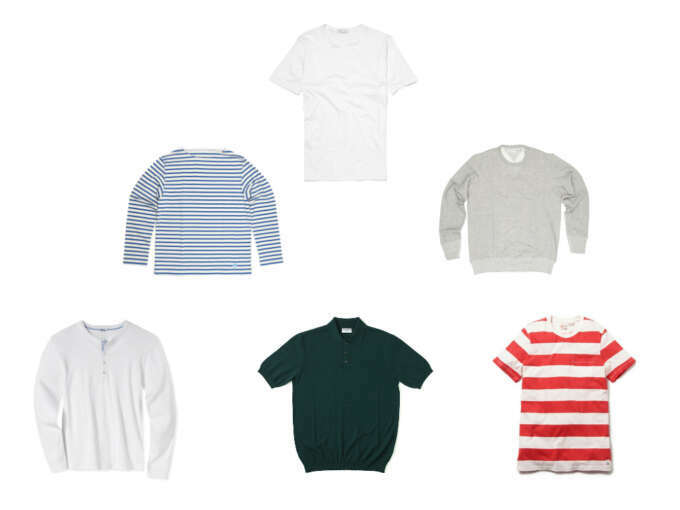 Jersey pyramid is: plain white tee shirt < Breton shirt, grey sweatshirt < henley, polo & stripe pocket tee. 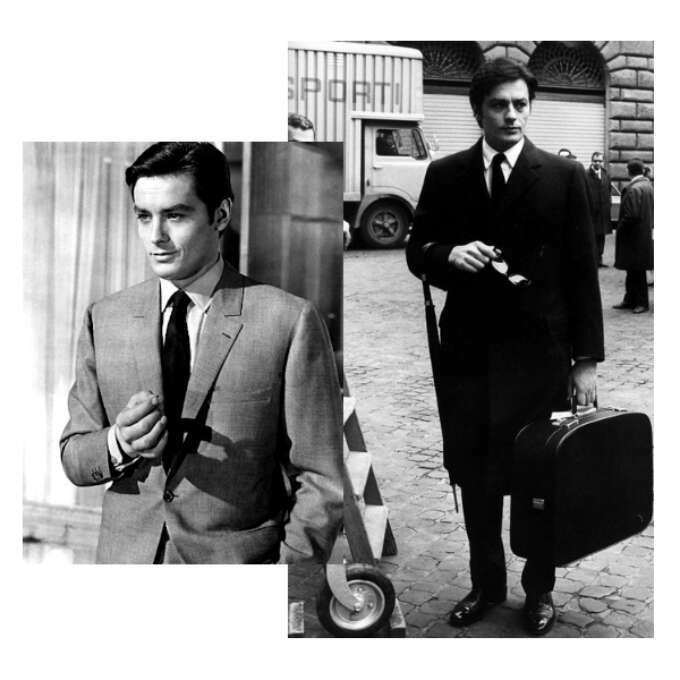 It’s possible that no one ever wore a light grey & navy suit as well as Alain Delon did as the reserved assasin in the 1967 film 'Le Samourai', If this list seems a little French heavy its only because the idea of simple, tasteful dressing ‘bon chic, bon genre’ is so central to the French ideas of style, of which Delon is a classic example. Suiting pyramid is: textured navy blazer in cotton or cotton wool mix < navy mid-weight wool single breasted suit, grey mid-weight wool single breasted suit < chalk stripe 3-piece suit, Linen single breasted suit, navy wool flannel double breasted suit. I haven't been linking to suppliers for these as they are classics and generally available but in this case, all these suits (bar the blazer) are from Husbands in Paris, the best ready-to-wear suitmaker out there in my opinion. 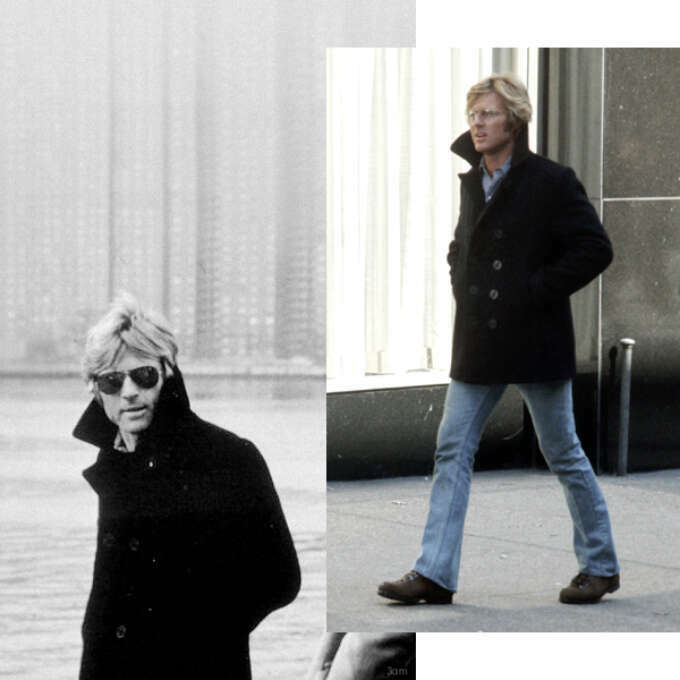 Robert Redford's whole look in 'three days of the Condor' is on point: work shirt, wool sweater, tweed jacket, jeans & aviators, but the cherry on top is that jacket, a Navy peacoat that is both handsome & rugged, flattering to almost anyone and completely timeless (an overused term that is valid in this instance). 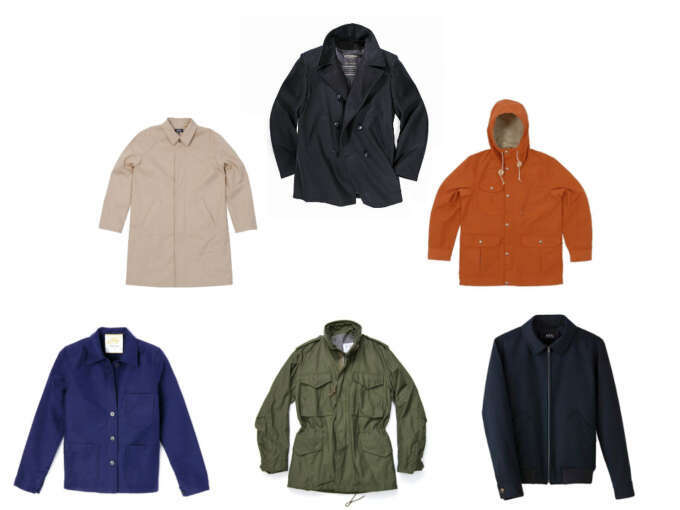 Outerwear pyramid is: navy wool peacoat < beige mac jacket, lightweight parka < work overshirt, military jacket, blouson jacket (or jean jacket). Who better than Prince Charles? 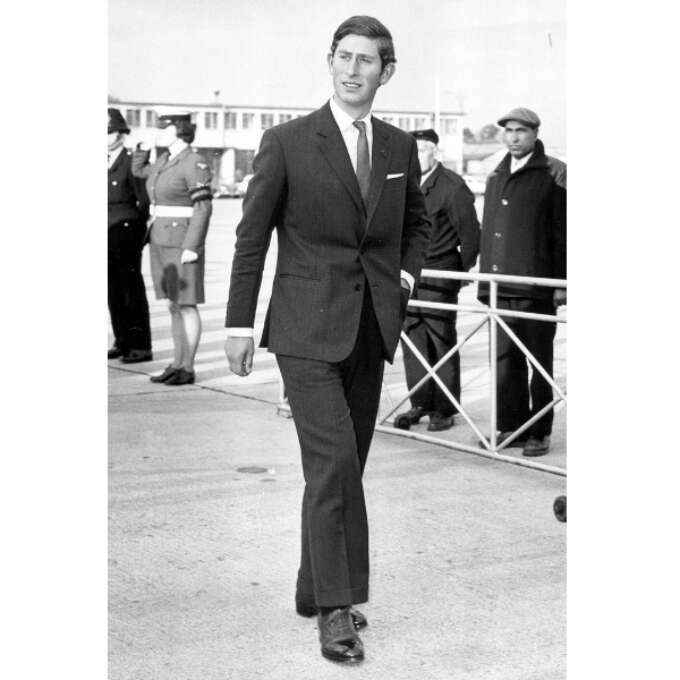 the man whose style has barely changed since the 1960s, remaining true to the classic rules of mens dress and never throwing something away if its possible to repair, in this sense he's an example to us all and check out those plain black oxfords, he still has them! the thing about oxfords is they are so establishment, so plain that they suit almost any outfit, and unlike many formal shoes, look right at home with jeans. 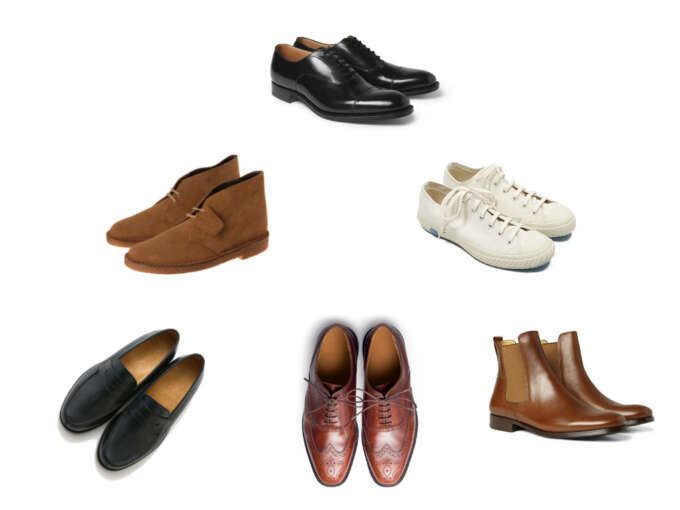 Shoe pyramid is: black oxfords < Clarks* desert boots, white (or cream) plimsoll sneakers < black penny loafers, russet brown budapester brogues, brown chelsea boots. *It's important that they are Clarks, other desert boots never look right. 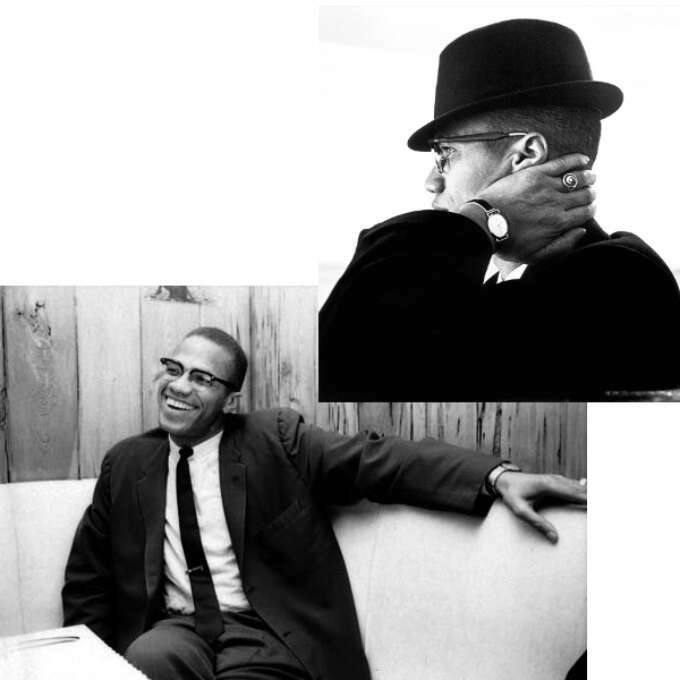 Malcolm X was a controversial figure, often promoting a controversial message and as an outsider wishing to speak to a hostile audience he made sure that his personal appearance was beyond reproach: slim, conservative suits with thin navy or stripe ties, a small dress watch and clubmaster glasses, everything in its right place. 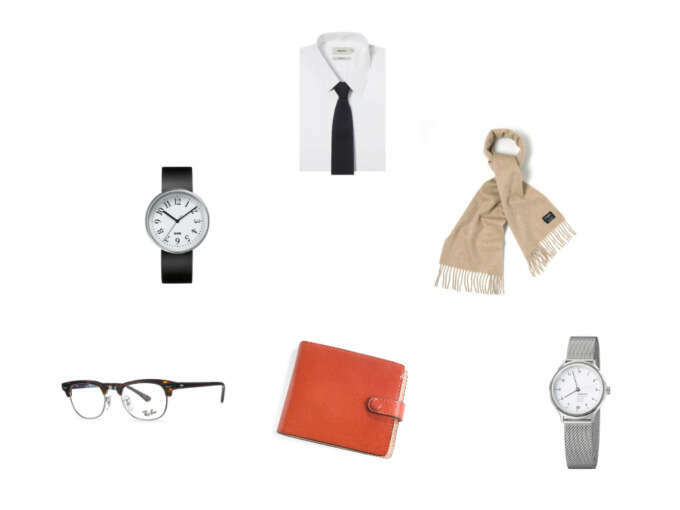 Accessories pyramid is: Slim navy wool tie < leather dress watch, tan cashmere scarf < clubmaster glass frames (or sunglasses), good quality leather wallet, metal strap day watch. 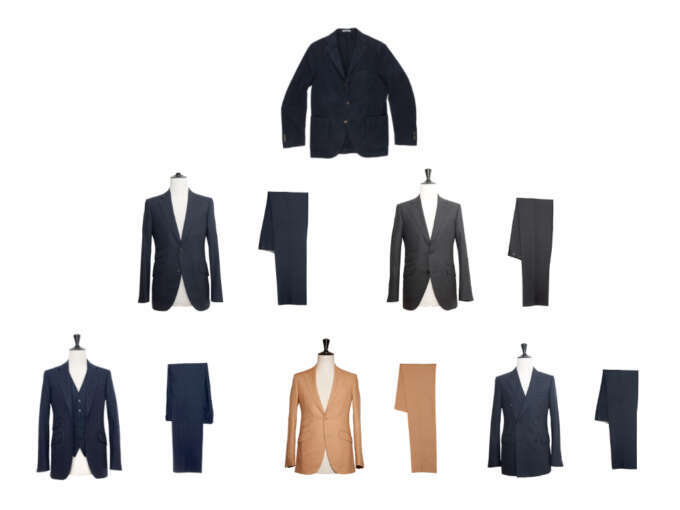 And thats my hierarchy of menswear needs, obviously depending on your taste you may prefer one of these styles over others, but it's those first two layers of each pyramid that will give you a well rounded classic wardrobe, the rest is up to you.